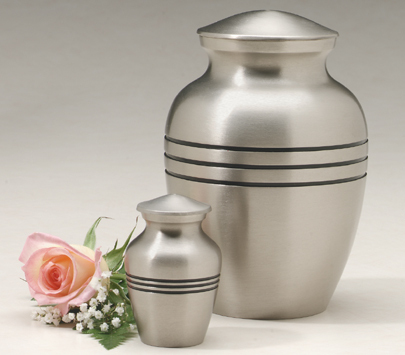 Shown at right of photo, this spun pewter over brass urn has a brushed finish and is accented with ebony bands. Top-opening threaded lid. Also available in a keepsake size.